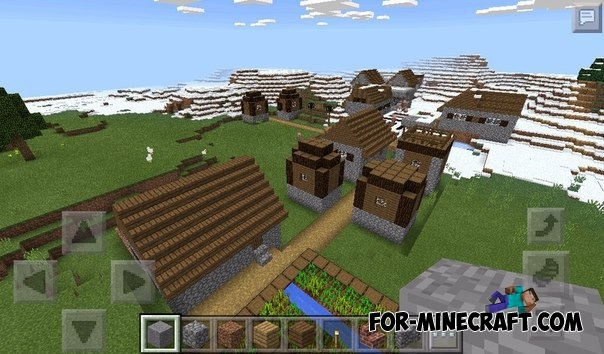 This seed will take you into a winter biome, where the two villages are located. One of the villages is located close to you, but you have to walk a few blocks to the second village. In the villages, you will find a variety of plants, so that you can survive the first time. There is also a taiga where you can find and tame wolves. 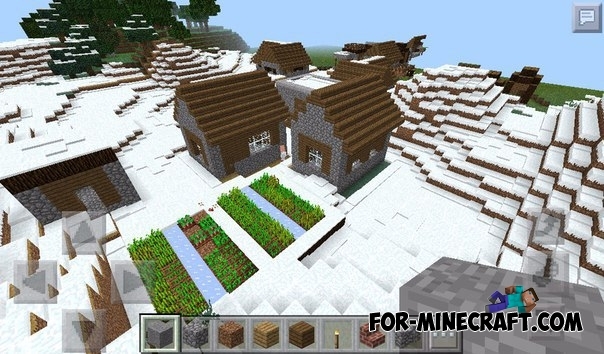 Two villages in the winter biome for Minecraft PEWith this seed, you will find yourself in a winter biome, where the two villages are located.